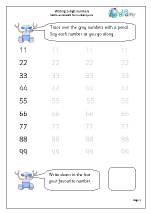 Read and write numbers from 1 to at least 20 in numerals and words. 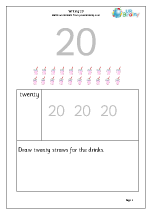 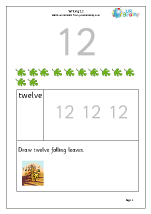 By the end of Year 1 children should be able to read and write numerals from 0 to 20. 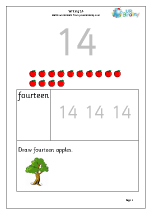 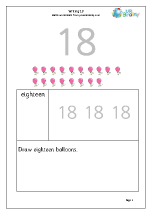 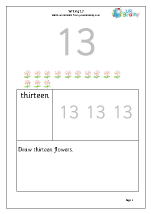 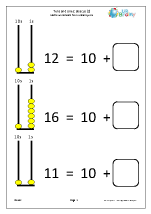 This introduces the idea of place value and an understanding of the value of the 1 in a number such as 13. 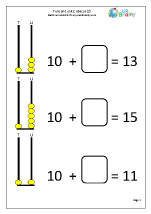 An abacus is an excellent way to show this. 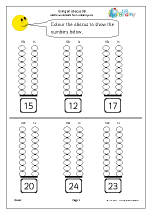 Keep an eye on how children form their numbers: almost all writing schemes have a similar starting point for writing each digit and it is always at the top. 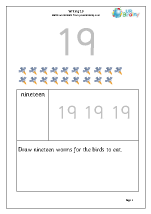 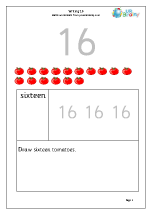 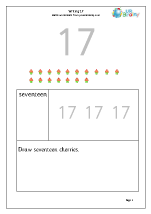 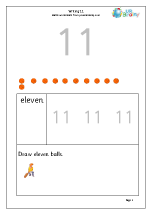 Further work on writing numbers in words and figures. 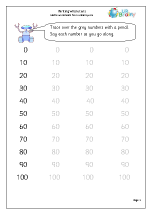 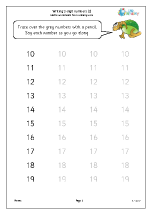 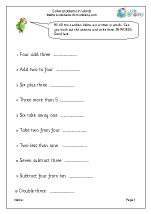 Our Reading and Writing Numbers worksheets will help children get a 'feel' for larger numbers and place value as well as practice with writing numbers. 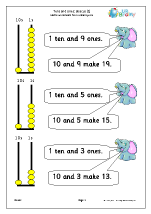 Using an abacus for tens and ones Writing teen numbers Further work on writing numbers in words and figures.